«The recovery – and future outlook – continue to be very regional. Like Florida, the Southwest, Coastal California and Pacific Northwest are all showing great promise, while the Midwest and Northeast are still struggling,» Sharga says. 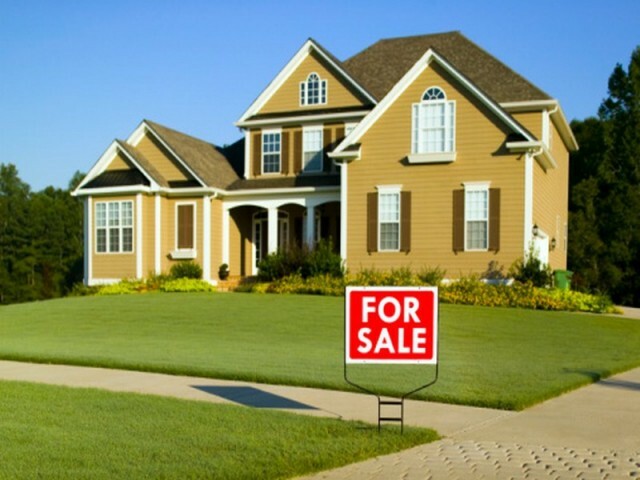 The Orlando housing market continues to make substantial strides in its recovery. Metro employment is up 4.1 percent year-over-year, supported in large part by its booming leisure/hospitality sector that comprises over 21 percent of local employment. Payrolls are at an all-time high, some 27 percent above their prior peak. Home prices jumped 4.4 percent this past quarter, eclipsing $200,000 for the first time since 2008. Up 11.2 percent year-over-year, home prices have outpaced US annual growth for 20 straight quarters, with room for additional growth as prices remain 17.3 percent below their prior peak. Population growth has exceeded two percent for four consecutive years, and Orlando’s economic outlook is among the best in the nation. Palm Beach is seeing healthy progress in its housing recovery, though economic growth has markedly decelerated in 2016. Year-over-year employment growth is at 1.5 percent, the lowest annual rate since 2011 and down from the three to five percent growth the metro has enjoyed for most of the recovery. Home sales are at a high level, however, some 24 percent below their bubble peak, indicating plenty of room for further growth. Seasonally adjusted prices are approaching $270,000 and are at their highest level since 2007, though they remain 11.6 percent below their prior peak. This suggests room for further growth. Single-family homes in the metro offer great affordability and are cheaper than local apartment rentals, which should preserve demand for buying and allow for additional price gains. With permit activity still hovering at a low level, overbuilding is far from a concern and Palm Beach’s housing market remains solid. Fort Lauderdale’s housing market continues to thrive in its lengthy recovery from the housing bust. With metro employment up 3.4 percent year-over-year, the local manufacturing and transportation/utilities sectors sustained vigorous growth throughout 2016. Leisure/hospitality jobs, a mainstay of the local economy, continue to reach new heights. Home sales are still some 26 percent below their pre-bust peak, largely seeing choppy progress despite contracting this past quarter, and home prices have risen 8.8 percent over the past year to a cyclical high of nearly $245,000. Though annual home price growth has outpaced the US since 2011, prices remain 16.2 percent below their prior peak, leaving additional room for gains. Fort Lauderdale’s population growth doubled that of the U.S. at 1.4 percent in 2015, and continued growth should support the housing market’s ongoing recovery. Tampa’s housing market is marching ahead on its road to recovery, thanks to an economy that continues to enjoy strong job growth and strengthening demographics. Despite cooling over the past few months, total employment stands 2.6 percent higher than its year-ago level, with job gains in 32 of the past 34 months. Tampa’s largest sector, professional/business services, has seen its explosive growth slow in the past year, though payrolls are up 4.6 percent year-over-year. Home prices reached a cyclical high of almost $180,000 and are up 10.7 percent year-over-year, continuing the torrid pace that has outstripped US annual growth since late 2011. Meanwhile, prices are very affordable in the metro at 12.3 percent below their prior peak, suggesting further room for gains. Accelerating population growth combined with a robust economy should fuel Tampa’s housing market going forward. Dallas continues to see vigorous growth, notwithstanding the drop in oil prices that are threatening some other Texas metros. Driven largely by the professional/business services sector, payrolls are up 3.8 percent from last year and the city has added jobs in 44 of the last 45 months. Recent job losses in the manufacturing sector have been slight compared to the rest of the state, keeping unemployment at a low 3.6 percent. Single-family prices are up 9.9 percent from a year ago, reaching an all-time high of more than $215,000. Though prices have risen for 19 consecutive quarters and are well above their prior peak, single-family homes remain affordable in the metro, indicating that further price gains are sustainable. Dallas’ population growth in 2015 was almost triple the U.S. average, which bodes well for the future. This entry was posted by Marina Piantanida, on Среда, Январь 11th, 2017 at 5:36 пп and is filed under Блог, Поговорим о недвижимости в Америке. Comments are currently closed.